CHICAGO_ An illuminating backstage pass to some of the greatest concerts ever held is the grand prize winner of the 2014 Great Midwest Book Festival. 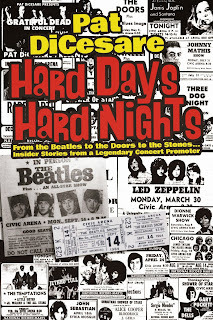 Hard Days Hard Nights is the fascinating, behind-the-scenes story of the birth and development of modern rock concerts, as told by one of its most illustrious proponents, Pat DiCesare. For 36 years, starting with his first show in Youngstown, Ohio with the Four Freshman to his big breakthrough promoting the Beatles concert in Pittsburgh, PA in 1964, through his last major show in 1999, Pat DiCesare ruled the Pittsburgh concert scene. Virtually every major rock and pop act of the area from the Rolling Stones to Led Zeppelin to Bruce Springsteen passed through Pittsburgh during these years to perform in concerts produced and promoted by Pat DiCesare. These are the backstage tales of those shows and how they came to be--the untold story of one of America's most beloved industries. 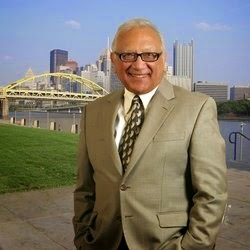 Pat DiCesare is widely considered to be one the fathers of the rock and roll concert business, not only in Pittsburgh, but nationwide. After an illustrious career spanning five decades he retired in 1999 to his home in Greensburg, Pennsylvania with his wife, Kathy, and they have three sons. Pat now makes numerous public speaking engagements and writes for various music and business publications. Hard Days Hard Nights is his first book.